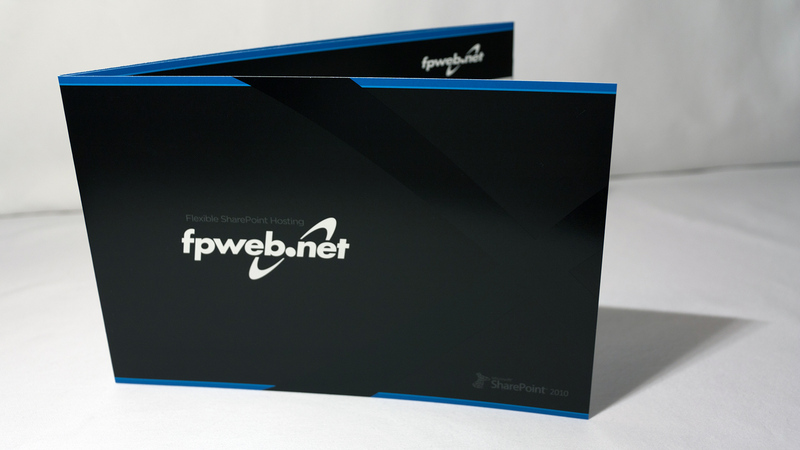 The 2011 edition of the Fpweb.net Sales Brochure. 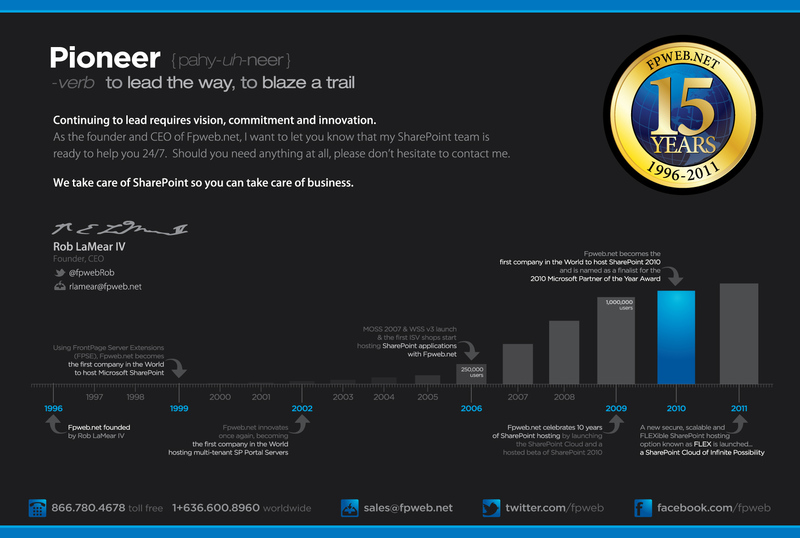 I designed the layout, all the elements within the layout, and most of the written copy as well. 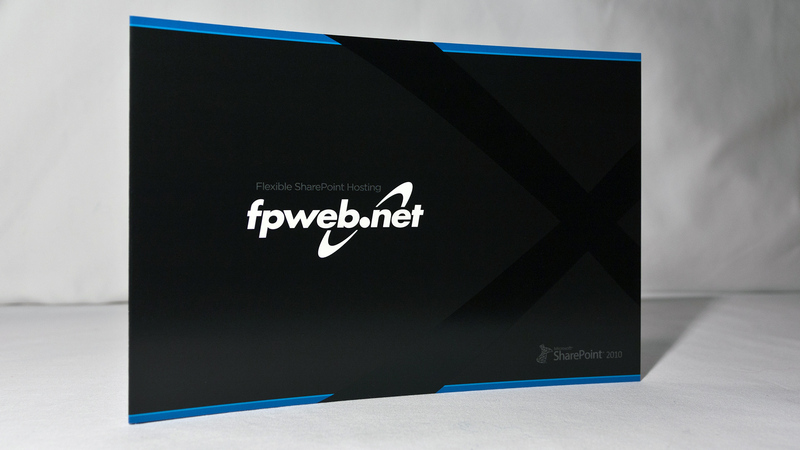 My new concept beyond just the design this year was the "matte/gloss" UV overlay coating. 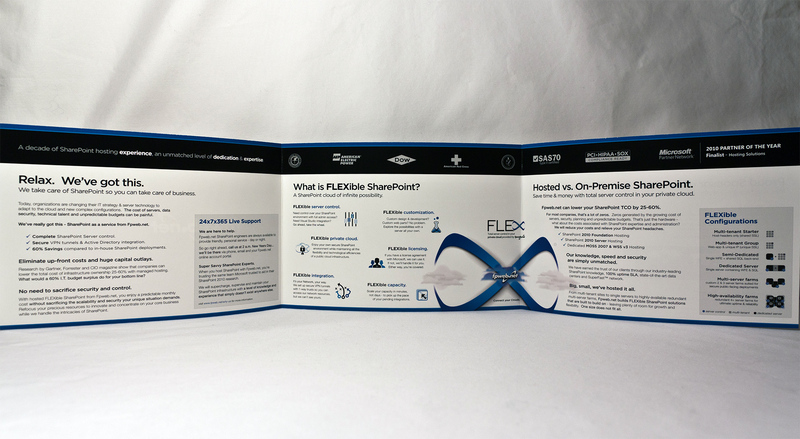 After the pieces were printed, each one was coated with a UV "Varnish" to make all areas of the brochure - except for the top/bottom stripes and the front-cover "Flex" symbol - matte. 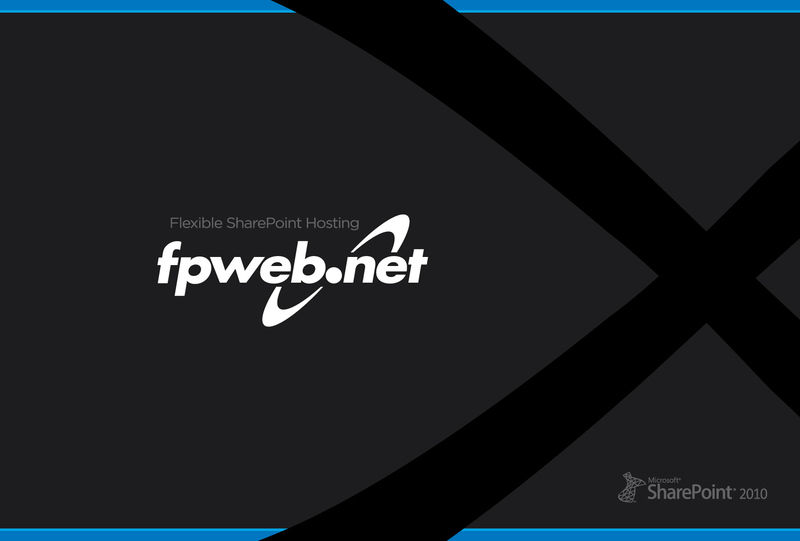 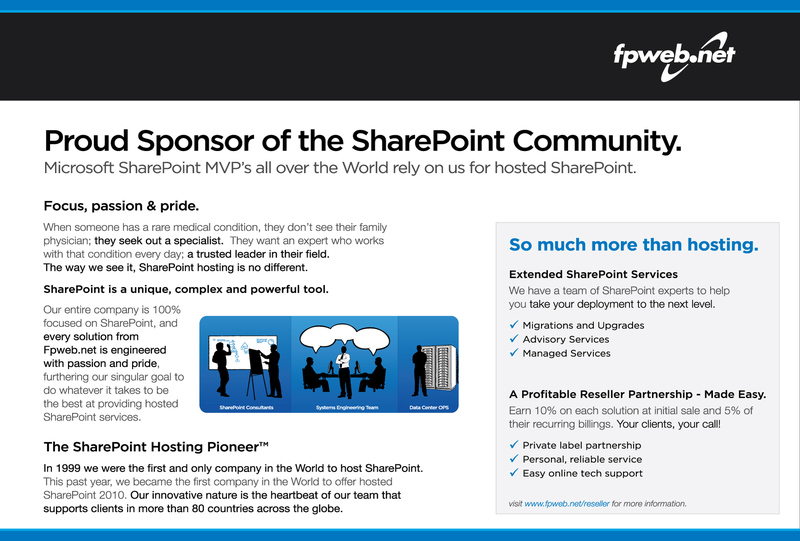 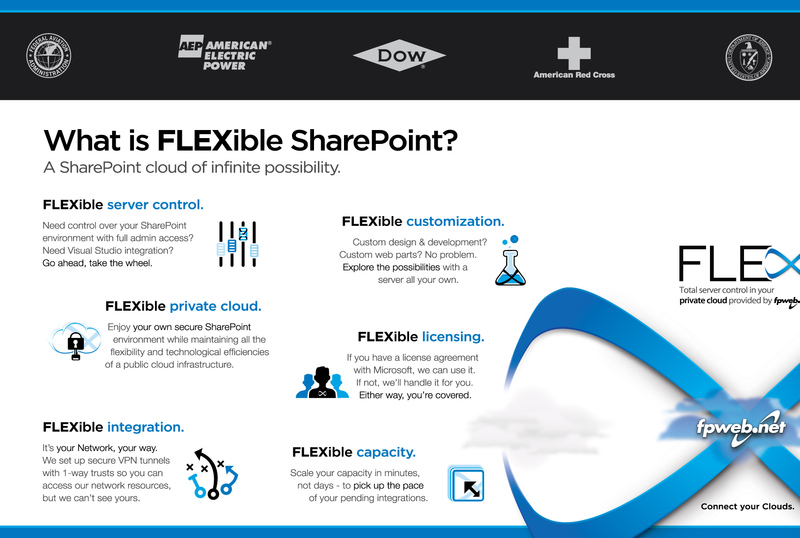 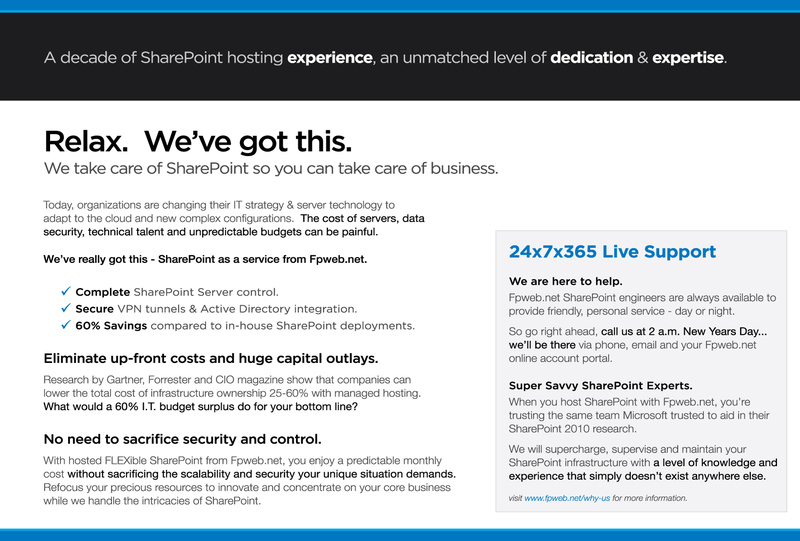 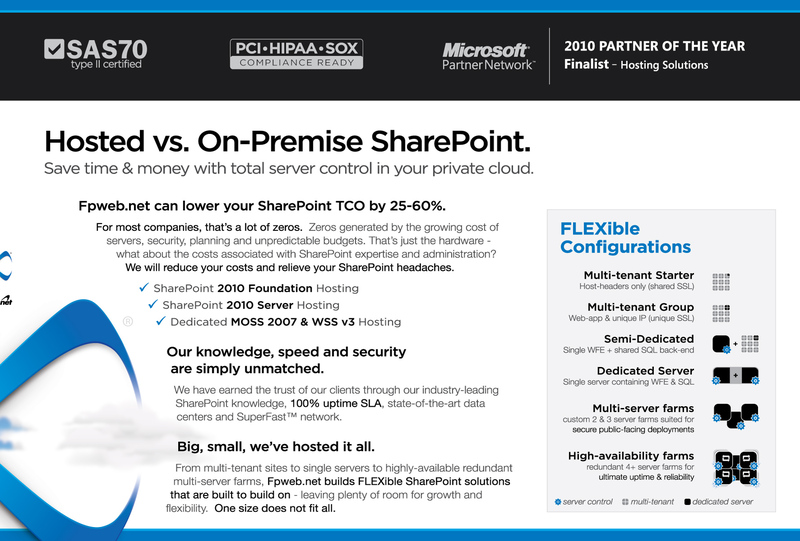 This created a sort of "black on black" effect that is very noticeable, and also matches the matte varnish finish of the "Key To SharePoint" boxes.